of the tunnel of Guyon’s is bounded by the hook of hamate whereas the ulnar side of the tunnel is bounded by the pisiform. 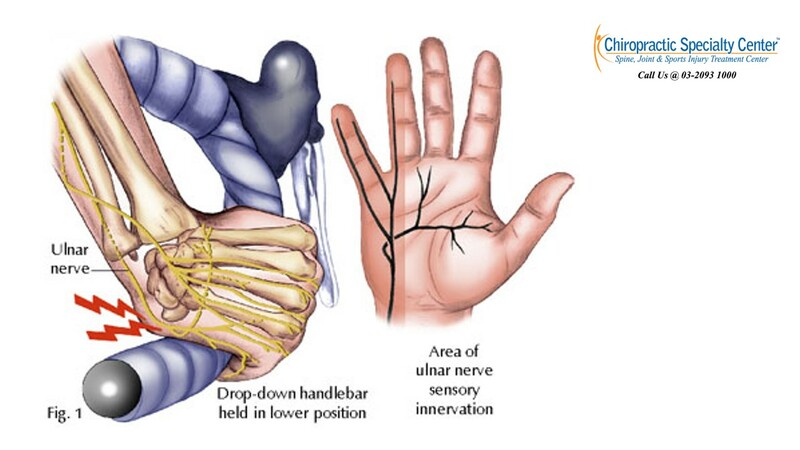 The most common symptoms of ulnar nerve compression include pain, tingling and numbness in the little finger and half of the fourth finger on the ulnar side. Weakness usually develops in the later stage or in certain severe cases. There may be difficulty in opening jars, holding objects or performing fine movements of the hand and fingers such as typing or playing a musical instrument. Ulnar nerve injury is very common in cyclists with poor bike fit or those who did not perform relaxed handlebar grip positions. These will result in injury and nerve damage as the hands need to support the body weight throughout the whole duration of the ride. Baseball players, in particular catchers, are more prone to ulnar nerve injury from repeated trauma when catching a ball. This can happen in karate players too. 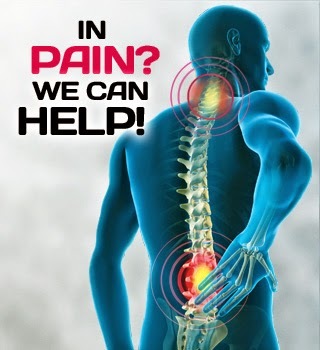 Conservative treatment involves splinting, correction of cyclist’s grip on the handlebars, physiotherapy to reduce inflammation and swelling and chiropractic treatments. For the best carpal tunnel syndrome treatment in Kuala Lumpur, Malaysia: visit a Chiropractic Specialty Center near you today. For more information or inquiries about our ulnar nerve treatments or carpal tunnel syndrome treatments in Malaysia, please contact us at 03-2093 1000.